The Ford Explorer returns for 2019 with a fresh new look across all trim lines. Rest assured though, this is still the SUV of choice for north central Alberta. The intelligent 4WD system and Terrain Management System provide confident traction in challenging winter or off-road conditions, so you’ll never have to worry about changing road conditions. The Explorer remains your choice for hauling, with its 2.3L Ecoboost four-cylinder engine hauling up to 3,000 pounds and its available 3.5L Ti-VCT V6 engine hauling up to 5,000 pounds. Or, if performance is your chief concern, then the 3.5L Ecoboost V6 with its 365 horsepower is sure to delight. 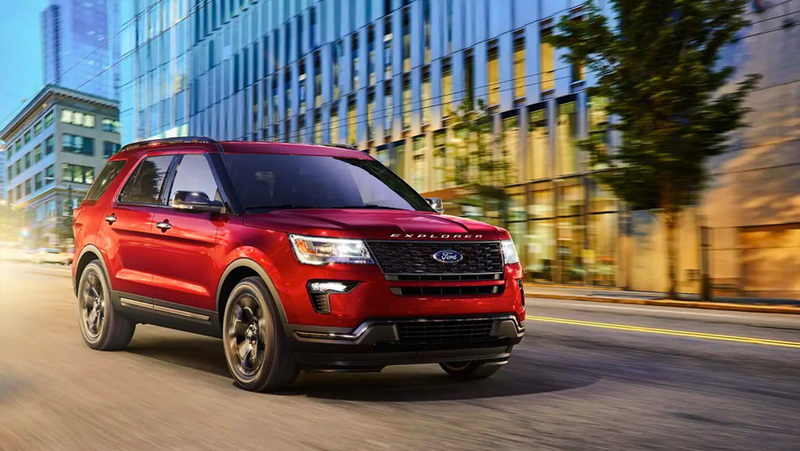 Visit us today and take the new 2019 Explorer for a test drive! Our dealership is just a short trip from Whitecourt, Jasper, or Grande Cache, and we have a wide selection of new and used Ford Explorers to choose from. The 2019 Explorer won’t leave you wanting for choice. 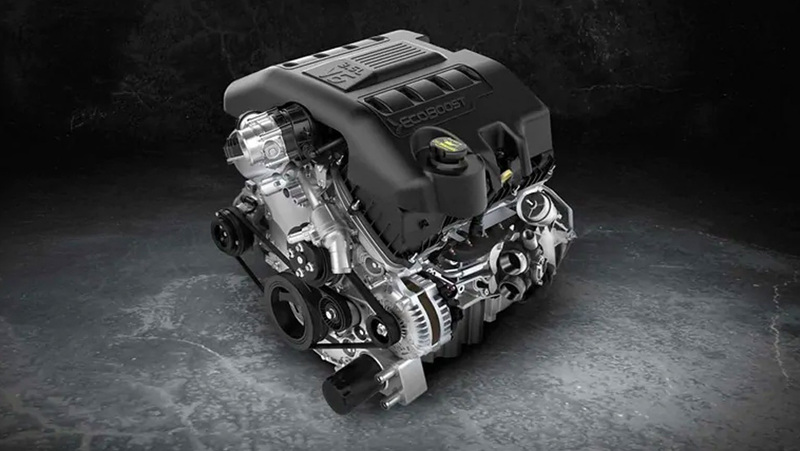 The 2.3L Ecoboost four-cylinder that produces 280hp and 310lb.-ft of torque and returns up to 12.6 city/8.5 highway. The 3.5L V6 with 290hp and 255lb.-ft of torque that returns up to 13.9 city/9.6 highway. Then at the top is the 3.5L Ecoboost V6 with 365hp and 350lb.-ft of torque which still manages 14.8 city/10.7 highway. The Ford Explorer was already a handsome machine, but it receives minor styling changes for 2019 that add even more refinement. The Sport model has a high-gloss Ebony grille, 20-inch wheels, and a lower sport-tuned suspension. Or, you can go for the new Platinum model and receive unique 20-inch aluminum wheels and grille along with satin chrome exterior accents. No matter what trim level you choose though, good looks are standard with the Explorer. 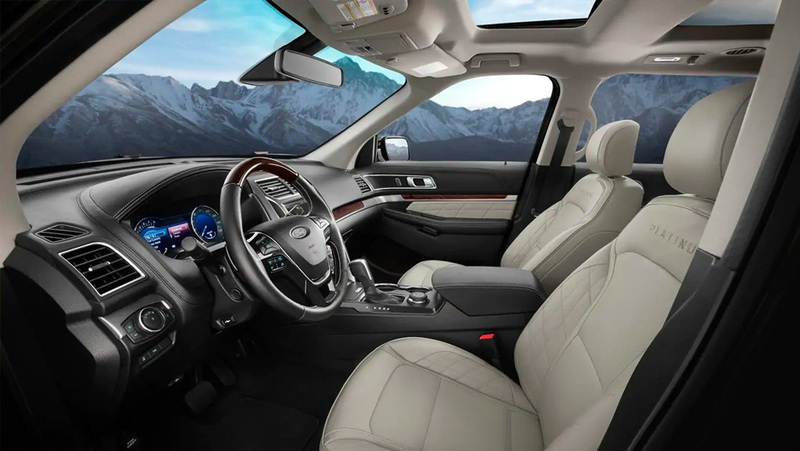 With seating for seven, a rear-view camera, Sync 3, Bluetooth, and available panoramic sunroof, Powerfold third-row seats, Dual-Headrest DVD players with 7-inch screens, and much more, the Explorer is one of the most comfortable SUVs available today. It’s also one of the most capable too, with a maximum cargo capacity of 2,314 liters. The top-level Platinum trim is also back from the last year, which comes with nearly every option standard, plus niceties like upgraded leather seating, aluminum and wood trim, and a premium Sony sound system for the ultimate in luxury. Your Explorer was designed to take on whatever the road throws at it, and Jerry Ford is here to keep it that way. Equip your Ford with genuine parts & accessories for guaranteed performance and ongoing reliability. 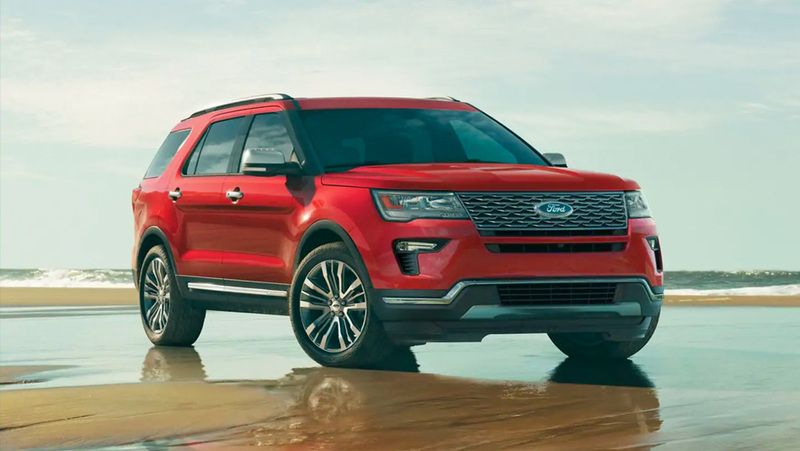 Our dealership has a wide variety of Ford Explorer parts to choose from, as well as a multitude of interior and exterior accessories to customize your Explorer to your individual tastes. For your convenience, you can also order your Ford parts online.